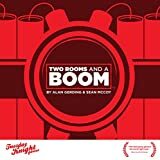 In Two Rooms and a Boom - a social deduction/hidden role party game for six or more players - there are two teams: the Red Team and the Blue Team. The Blue Team has a President. The Red Team has a Bomber. Players are equally distributed between two rooms (i.e., separate playing areas). The game consists of five timed rounds. At the end of each round, some players will be swapped into opposing rooms. 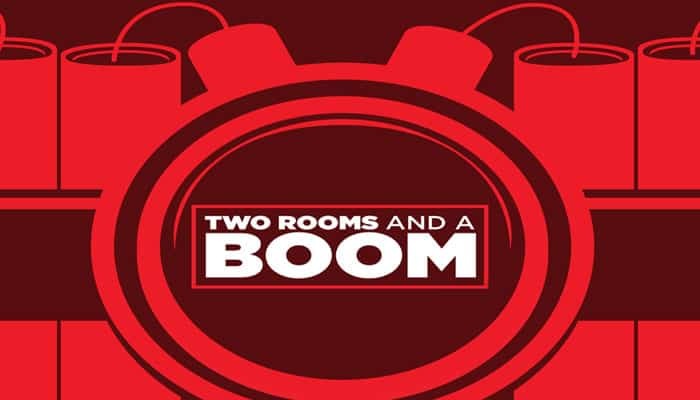 If the Red Team's Bomber is in the same room as the President at the end of the game, then the Red Team wins; otherwise the Blue Team wins. Lying encouraged. You have the AGENT power: once per round, you may privately reveal your card to a player and force that player to card share with you. You must verbally say to the target player, "I'm using my AGENT power. You MUST reveal your card to me".